Tick Diseases Start With Wild Animals And End With You and Your Pets. Sorry to sound harsh; but it's true. Humans and pets. Lyme Disease, the most common tick-borne illness, is a very dangerous zoonotic disease that can turn life threatening just from a simple tick bite. The more we learn about the tick species and their relation to white-tailed deer, birds and the white-footed mouse, the more worried we become about the safety of our family members and pets when outside for long periods of time. Female ticks like to hide in forests and grassy areas, moist wetlands, in shrubs, and on tree limbs in the spring and summer months and survive by feeding on humans, pets and livestock for their next 'blood meal.' It's important to note that a tick does not die in the winter; but instead seeks shelter under leaves to find warmth and security. As long as temperatures remain above freezing (at 32 degrees Fahrenheit), tick bites remain a concern. This is why homeowners should not push logs or firewood too closely to homes to reduce the risk of a tick infestation. Mowing the grass regularly helps reduce the number of ticks on the lawn, as well. In 2015, the CDC reported 95 percent of confirmed (and probable) Lyme Disease cases in 14 U.S. states, particularly in the upper Midwest and Northeast region. This totals about 37,000 confirmed cases in 2015 up from only 11,000 cases in 2001. Are you living in these tick states?Female ticks like to hide in forests and grassy areas, moist wetlands, in shrubs, and on tree limbs in the spring and summer months and survive by feeding on humans, pets and livestock for their next 'blood meal.' It's important to note that a tick does not die in the winter; but instead seeks shelter under leaves to find warmth and security. As long as temperatures remain above freezing (at 32 degrees Fahrenheit), tick bites remain a concern. This is why homeowners should not push logs or firewood too closely to homes to reduce the risk of a tick infestation. Mowing the grass regularly helps reduce the number of ticks on the lawn, as well. The most common detector of Lyme is by the formation of a red, rashy blotch of skin known as the 'Bull's Eye' mark. This marking usually occurs in 70-80 percent of Lyme patients within the first 3-30 days after a tick bite. During that time, Lyme Disease victims may feel like cold/flu-like symptoms. (See Lyme Disease symptoms below). If left untreated, tick-borne disease can occur and can cause serious, life-long health complications. But, humans aren't the only ones suffering from tick-borne illnesses. Lyme Disease in dogs and cats occur on a regular basis; but the symptoms of Lyme Disease in pets do not match one another. For dogs, they may feel run down; weak; and have a high fever. For cats, they only experience acute lameness; and although Lyme Disease in cats only lasts for a few days - unless weeks or months in dogs - the cats will deal with the effects of Lyme Disease just as much as dogs. This is why grooming pets regularly is important. 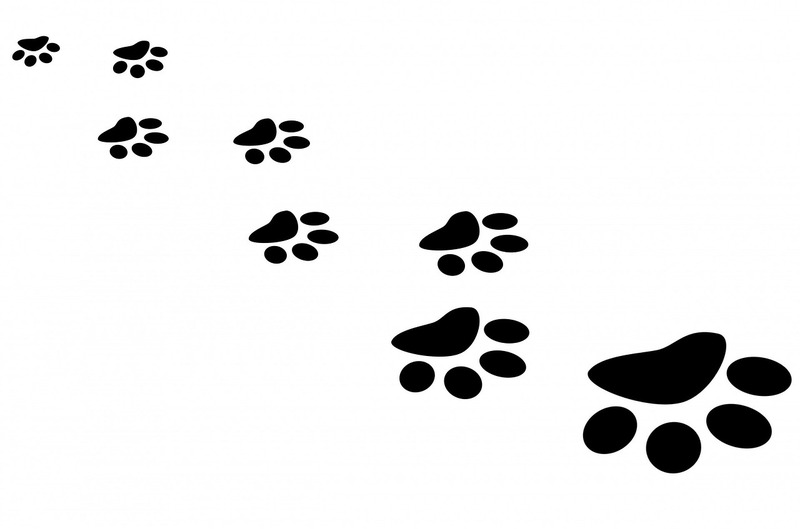 Checking for ticks on pets should become part of the daily routine when playing with dogs and cats outside. In case Lyme wasn't enough of a worry, we have the added concern of other tick-borne illnesses including the Powassan (Pow) Virus - which can take effect in just 15 minutes - Rocky Mountain Spotted Fever (from dog ticks), and the latest tick virus in the news, the Bourbon Virus. "About 15% of patients who are infected By the Pow Virus, and have symptoms, are not going survive," said Lyons, an assistant professor of neurology at Harvard Medical School. "Of the survivors, at least 50% will have long-term neurological damage that is not going to resolve." With over 899 tick species crawling throughout the world, it's difficult not to be alarmed by the tick epidemic in the United States. This is why homeowners need to install yard fencing from Deerbusters for tick prevention. In addition to a deer fence, homeowners need to apply deer repellents and deer-resistant plants. See what else homeowners can do for tick disease prevention. Carry a tick removal tool (see below) with you in the instance where you need to act quickly, but cautiously. Grow deer-resistance plants in the garden as a deer barrier. Speaking of deer barriers, deer-proof yards with a 7.5-8' feet high deer fence. Our tick tweezers and other tick remover products for sale on Deerbusters.com are recommended for hikers, campers, gardeners and anyone who loves being outdoors. These easy to use tick control products for sale can fit inside a purse, pocket or on a key chain. By keeping these tools on-hand, homeowners and active individuals are reducing the threat of tick illnesses for themselves and their families. 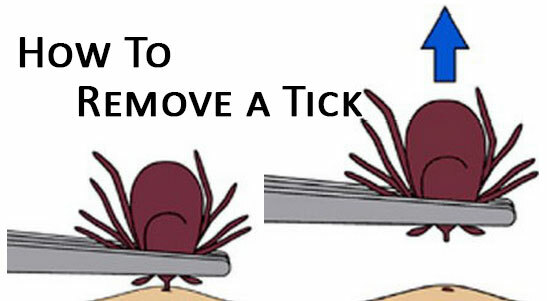 Learn how to remove a tick.